Iranian affairs was a significant priority during the NATO Summit given the divergent American and European attitudes regarding the Islamic Republic of Iran and the 2015 Iran nuclear deal. In recent days, the US administration has seen fit to emphasize the global security threat posed by the Islamic Republic. That emphasis is all the more realistic in the wake of reports that European authorities thwarted an Iranian plot to plant a bomb at the June 30 gathering of Iranian expatriates and international supporters near the Paris headquarters of the National Council of Resistance of Iran (NCRI). This foiled plot highlights the extent to which the existing regime recognizes Iran’s democratic Resistance movement as a threat to its hold on power and underscores Tehran’s ongoing commitment to terrorism. The June 30 gathering titled “Free Iran 2018” called attention to the massive popular protests that have been ongoing throughout Iranian society since January, and especially since the start of the Iranian calendar year in March, when NCRI President-elect Maryam Rajavi issued a call-to-action urging all pro-democracy activists to turn the year ahead into “a year full of uprisings” against the regime. But inspite of the regime’s repressive response including 8,000 arrests, 50 demonstrators being shot dead, protests have continued unabated across the country with the same uncompromising slogans, like “death to the dictator” and “our enemy is right here [in Iran], they lie and say it is the US”. In light of the fact that the Iranian regime was prepared to resort to terrorism on European soil as part of its effort to stamp out the organized resistance movement, it is, sadly, a reality that that movement continues to be largely ignored and marginalized by Western Governments – not least the UK in order to placate the regime in Tehran. This is despite the reality that in recent years the Free Iran gathering has tended to attract approximately 100,000 supporters from around the world. This year, hundreds of prominent political dignitaries from Europe, the US, and much of the world joined the Iranian expatriates in Paris to support the democratic aspiration of the Iranian people. It should also be noted that these delegations tend to be distinctly non-partisan, which bodes well for their ability to bring the recent successes of the Iranian Resistance movement to a much larger audience of policymakers within their home countries. This is arguably more important today than ever before, not least of all because of the possibility of the NCRI and its constituents assisting the Iranian people in bringing about comprehensive change to their nation. The nature of that prospective change was outlined once again in this year’s gathering, and it remains on permanent display in the form of Mrs. Rajavi’s ten-point democratic platform for the future of Iran. That plan envisions all of the essential features of modern, Western-style democracy, calling for pluralist governance, free and fair elections, and explicit safeguards on the rights of women and minorities. The platform is exemplary for the Middle East and thus is due serious attention by the democracies in the West. Yet, it has been ignored for decades by European governments in the mistaken belief that there is no viable indigenous alternative to Iran’s revolutionary Islamist government. That fallacy is rebutted by the regime’s constant efforts to exert diplomatic pressure on the French Government to stop the annual Free Iran gathering in Paris and on other Western governments to not allow members of parliament to attend the event. It is even more conclusively rebutted by the fact that Tehran put its fragile relationships with Europe at risk by planning to bomb the June 30 gathering. European leaders’ inability to recognize the Iranian alternative has resulted in years of misplaced policies and a certain level of willingness to overlook Iran’s history of terrorism and human rights abuses. It has also caused the international community to lift pressure from the Islamic Republic at a time when greater levels of assertiveness might have impeded the regime’s repressive capabilities and emboldened the popular uprising for regime change. The recent increases in activism and public expressions of dissent by the Iranian people has prompted Washington under the new US administration to increase pressure on the regime in Tehran. Now, the time is ripe to encourage Western and Gulf partners to contribute to that pressure, on the understanding that it is vital for their national security as well as being in the interests of the Iranian people. The ongoing protests in Iran make it clear that the people of Iran recognize that the regime is ultimately responsible for the penalties imposed upon them. More than that, Western leaders must understand that both economic and diplomatic pressure will further inspire Iran’s democratic activist community and organized Resistance movement to continue with their protests, which have stretched the regime’s repressive institutions to their breaking point and have brought the nation in sight of liberation from the theocratic dictatorship. Any Western leader who turns away from this opportunity to finally bring modern, secular democracy to Iran, and by extension to the Middle East, will be on the wrong side of history. 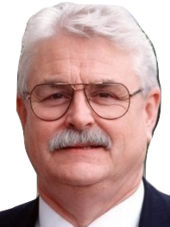 Lord Maginnis of Drumglass is an independent Ulster Unionist member of the UK House of Lords and prominent member of the British Committee for Iran Freedom (BCFIF), www.iran-freedom.org.